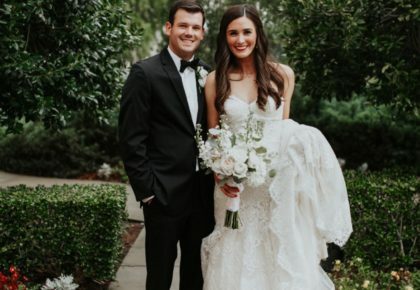 The Skirvin Hilton is just so perfect for a traditional ballroom wedding reception, and Jordan and Chris’ was a classic! The fashion in this wedding is timeless! 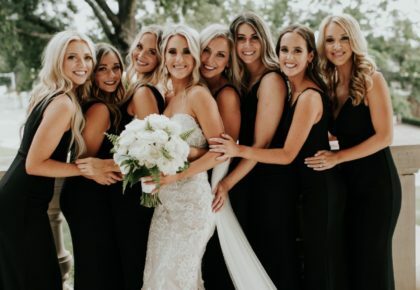 Black floor-length gowns from Prim were the ideal choice for Jordan’s maids, and her beautiful gown from The Bridal Boutique is pure elegance. Tony Foss Flowers created the timeless floral arrangements throughout the hotel ballroom, and late night pizza kept the guests celebrating the sweet newlyweds all evening long. 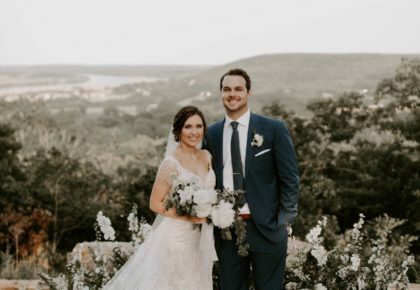 Cheers to Jordan and Chris! 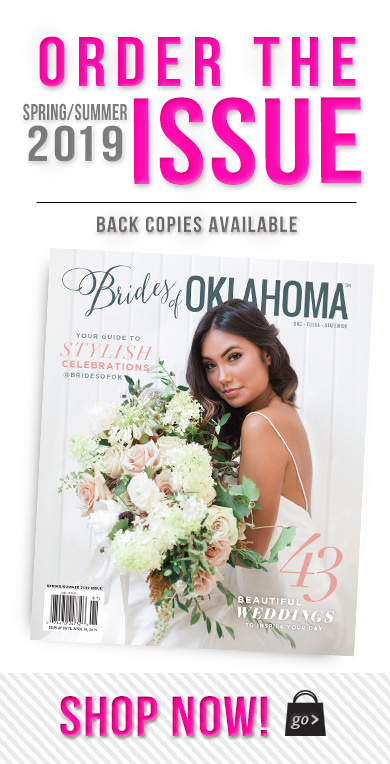 Continue scrolling to see all the lovely details from these fab Oklahoma wedding pros!